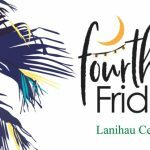 Diamond Bakery and KTA Super Stores, along with contest sponsors Daylight Mind Coffee Company, Cafe Pesto and Hapuna Beach Resort, are hosting a Mother’s Day prize giveaway through April 30, 2019. 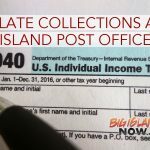 Diamond Bakery’s promotion is open only to legal residents of Hawai‘i who are 21 years of age or older at the time of entry. 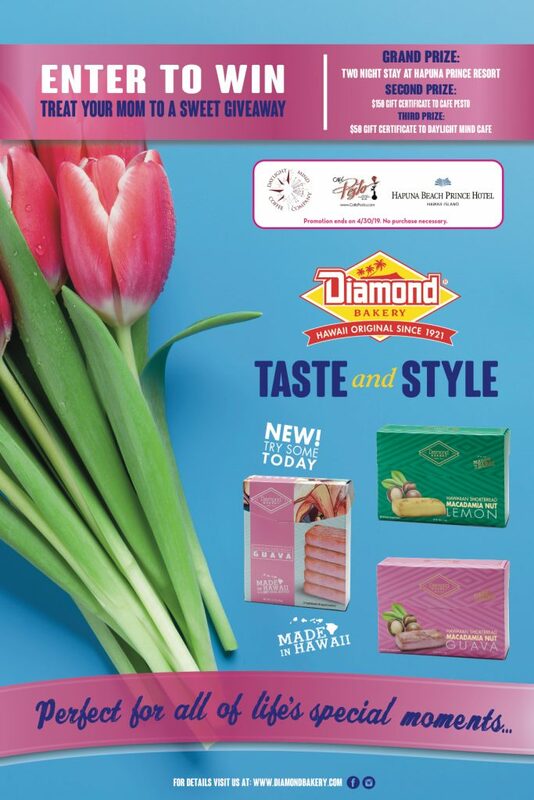 Visit any participating Hawai‘i KTA Super Stores and locate Diamond Bakery product displays. Fill out an entry blank placed on or next to Diamond Bakery product displays and drop it to the entry box provided. Download the official rules in their entirety. Diamond Bakery has been open for over 90 years. Through the founders’ dedication, sacrifice and aloha, the demand keeps growing for Diamond Bakery’s Hawaiian crackers and cookies. The company has been steered to its current success with the help and vision of the second- and third-generation family members serving on Diamond Bakery’s board of directors. In 2009, Diamond Bakery filled a much-needed niche selling sea biscuits—what most locals know as Saloon Pilot crackers—along the continental East Coast. 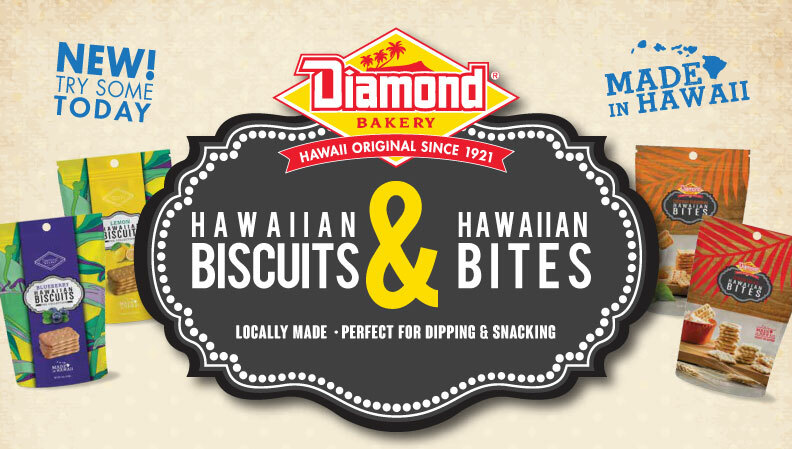 Distribution of products has also expanded to Japan and the South Pacific, allowing Diamond Bakery to share heartwarming aloha with people throughout the world. The Westin Hapuna Beach Resort is located at 62-100 Kaunaʻoa Drive in Waimea. 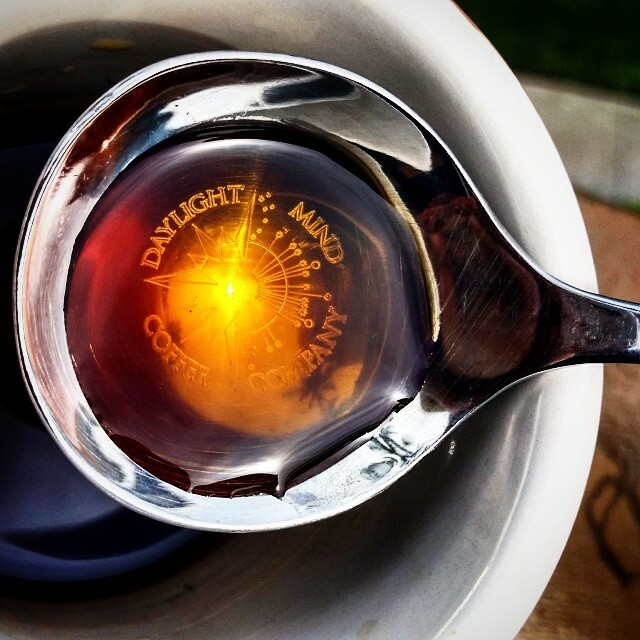 Daylight Mind Coffee Company is located at 75-5770 Ali‘i Drive in Kailua-Kona and at Queens’ MarketPlace in Waikoloa, 69-201 Waikoloa Beach Drive, Ste. J1.